Tired of hearing about the game “Fortnite” and having no idea what everyone is talking about? Here’s the long and short: “Fortnite: Battle Royale” is a 100-person fight to the death set in a colourful, surreal world. It’s a third-person shooter where you only have one life to live. If you survive, you win! Best of all: “Fortnite” is completely free. Moreover, it’s available on nearly everything, from PlayStation 4 to Xbox One to PC, Mac, and even iPhone/iPad. It’s no surprise that somewhere in the ballpark of 45 million people are playing the game. Even Drake’s playing it! It’s a straight up phenomenon. So what gives? Why is this game blowing up? Let’s dive in! “Fortnite: Battle Royale” takes something familiar — shooters — and twists it in a subtle way to make it fresh. Epic GamesThe blue-ish wall in the distance is a storm — the habitable area of the map is the eye of the storm, which gets continuously smaller by the minute. If you own a game console, chances are you’re familiar with shooters – be they first-person (like “Call of Duty”) or third-person (like “Gears of War”). “Fortnite: Battle Royale” falls into the latter category, with your character’s avatar taking up prominent screen space. But living through the cartoon violence of “Fortnite” is difficult – there are around 90 other players also trying to be the last person alive, and they have got weapons. 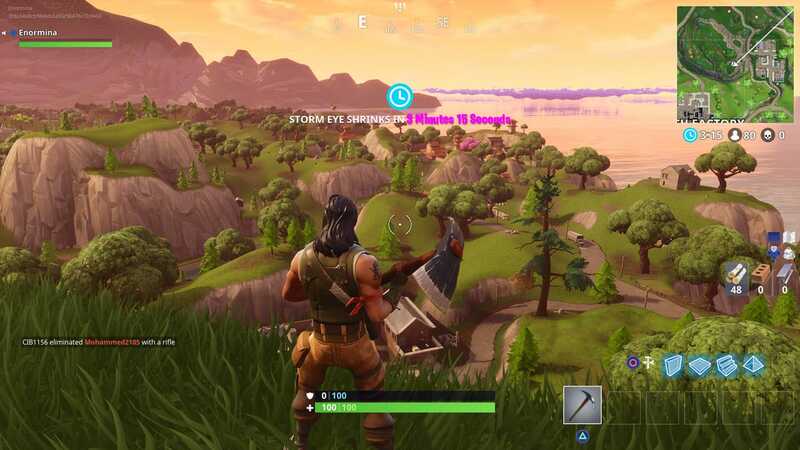 And like other “Battle Royale” shooters, “Fortnite: Battle Royale” is based on a single, large island with an ever-shrinking habitable area. 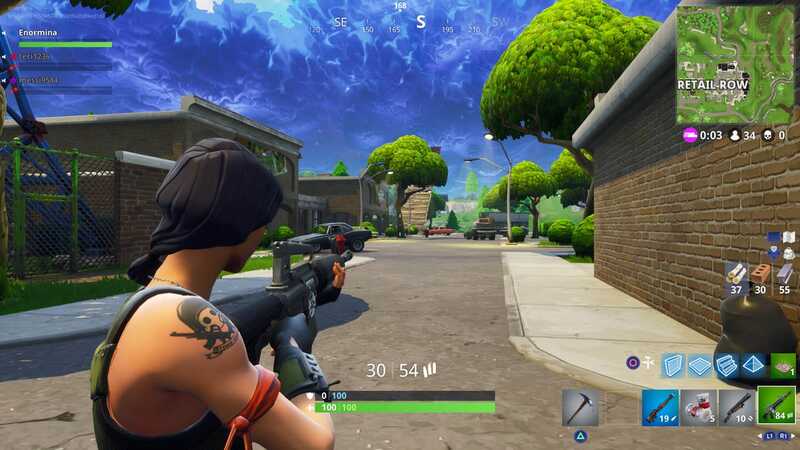 If you’re outside of that area, your health begins to drain until you’re dead – in this way, players are forced together rather than able to hide. In that sense, it’s important to aggressively go after the enemy. But also, watch your back! Epic GamesI got killed a lot while playing ‘Fortnite: Battle Royale.’ A lot. And I play a lot of shooters. 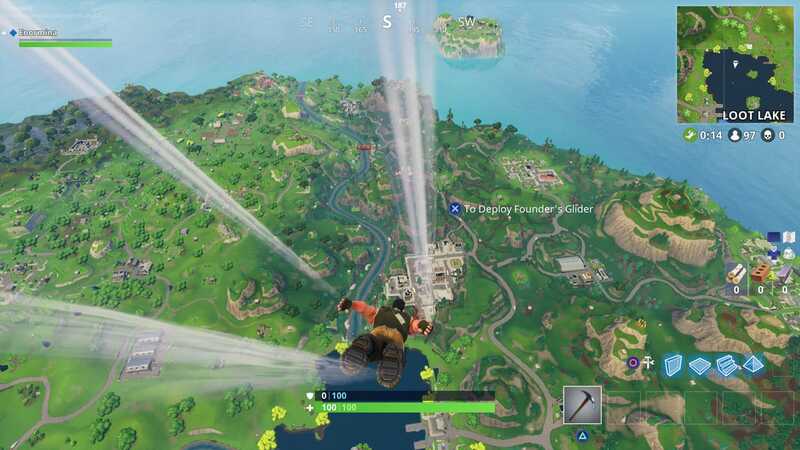 The first thing you do in “Fortnite: Battle Royale” is jump out of a purple flying bus and parachute down to an island. The island is full of distinct regions, and it’s littered with resources: Guns, explosives, med packs, shields, and various materials (wood, brick, metal). But there are major differences right off the bat. 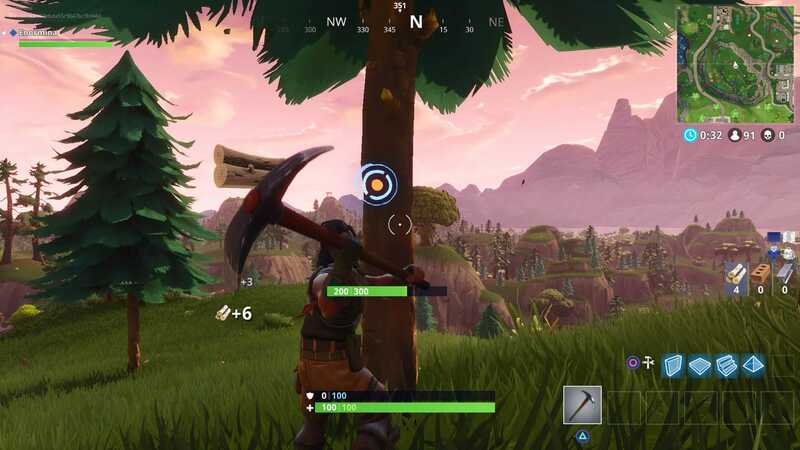 Rather than simply picking up weapons and healing kits, “Fortnite: Battle Royale” also has a construction element to it. Thus why you’re picking up materials – stuff like wood, brick, and metal. Alternatively, you can use your pick-axe to mine the materials yourself, like you would in “Minecraft” (as seen above). The world is destructible, so with every swing of your pick-axe you’ll wear down whatever object you’re striking – whether it’s a tree or a brick wall. 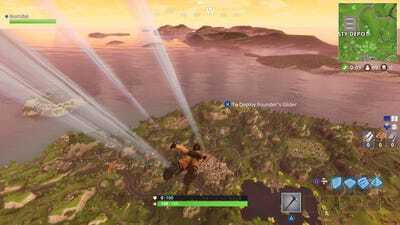 There are loads of parallels between the two games, but “Fortnite: Battle Royale” is immediately distinguished by this crucial difference. I was sceptical of “Fortnite: Battle Royale,” and it proved me wrong. 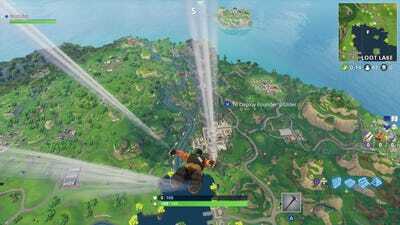 Better than just being free, “Fortnite: Battle Royale” was available on Xbox One and PlayStation 4 months before “PUBG” could get there. Great for players, no doubt, but not a great look in terms of perception. 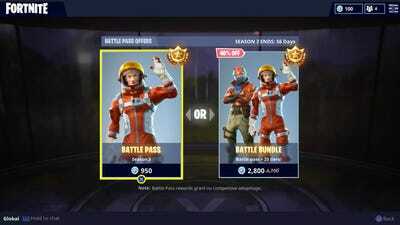 Was Epic Games rushing out a copycat mode to beat out the competition? More awkwardly, the software that created “PUBG” is made by none other than Epic Games – the Unreal Engine. It looked like Epic Games might be undercutting its own client and copying the client’s idea. There was even a press release from Bluehole Studio, the company behind “PUBG,” criticising Epic Games. 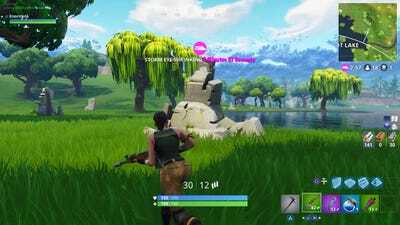 “We are concerned that ‘Fortnite’ may be replicating the experience for which ‘PUBG’ is known,” Bluehole vice president and executive producer Chang Han Kim said. 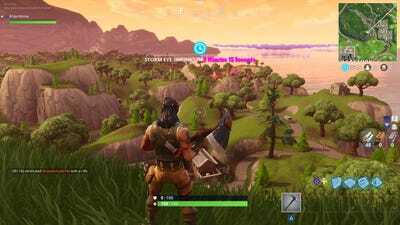 But actually playing the game demonstrates relatively quickly why “Fortnite” is doing something different. 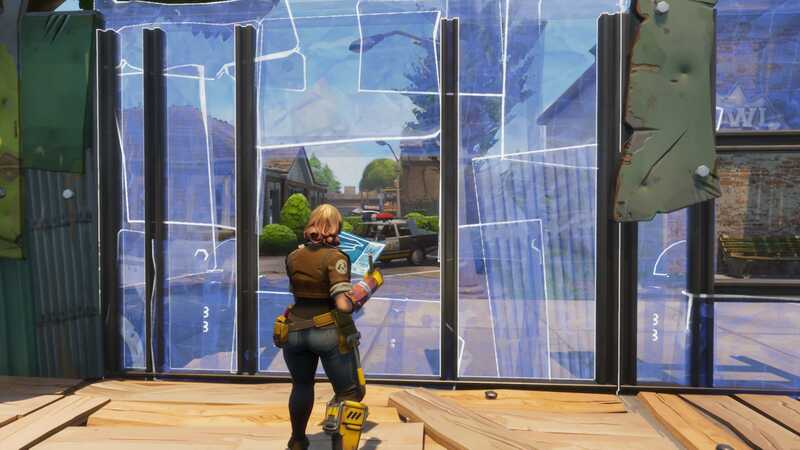 Adding construction (and destruction) to the “Battle Royale” format changes everything. “PUBG” is so excellent because it’s suspenseful. Each life matters distinctly – matches can last as long as 30 minutes as you carefully creep around the game’s massive world. Dying from a sniper after 20 minutes of a match because of a foolish move can be devastating. Each sound in “PUBG” has impact. Was that an enemy? How close is that gunfire? Did someone open a door? “Fortnite” is excellent because it takes that same formula and throws out all the weight. 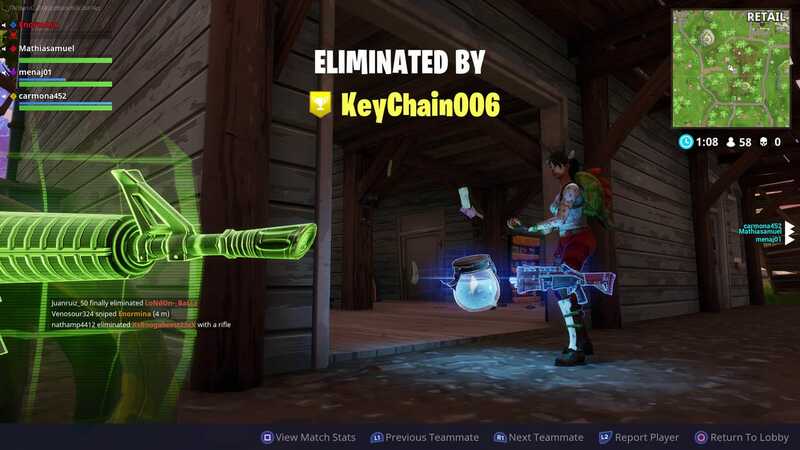 If someone starts shooting at you in “Fortnite: Battle Royale,” you can immediately conjure a wall from the ether in front of you. Many matches end in surrealist madness, as players erect massive towers out of nothing as a means of protecting themselves from the last few remaining players – all while taking the occasional shot at their enemies. You can actually watch it all play out even if you die, as there’s a spectator mode built in to the game. That I’ve sat and watched several games play out after my own death is a testament to how entertaining “Fortnite: Battle Royale” is. Get ready to die a lot. But don’t worry too much about it! 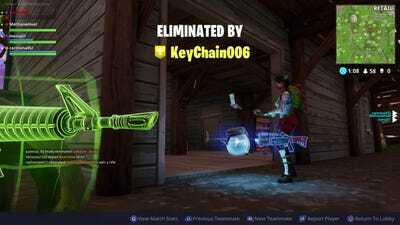 Matches in “Fortnite: Battle Royale” are pretty quick, often lasting 10 or 15 minutes at most in my experience. That helps to make it a bit less frustrating when an enemy comes busting through the ceiling with a shotgun, which happens every now and again. It’s easy to hop back into a new match and keep the fun going, in a way that’s reminiscent of playing “Overwatch” or “Halo” online multiplayer. I can easily jump in for a few matches before bed in “Fortnite: Battle Royale” – something I’m unlikely to do with “PUBG,” which requires a lot of time and an emotional investment. “PUBG” is stressful, whereas “Fortnite: Battle Royale” is silly. I don’t mean that as a knock against “PUBG,” of course – it’s amazing that “PUBG” is such a vehicle for emotional response. But sometimes I don’t want to stress out right before going to sleep, and “Fortnite: Battle Royale” offers a nice alternative. Yes, there are microtransactions. No, they’re not intrusive. “Fortnite: Battle Royale” is a free game. It costs nothing to play online, and there’s no limit to how much you can play. Even the version on Xbox One and PlayStation 4 is free. 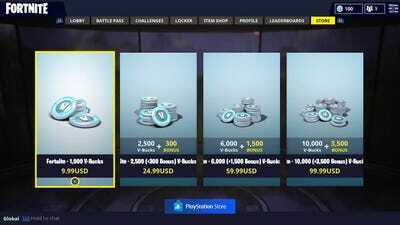 You could use that money to buy stuff in the item store for your character, ranging in price from 500 ($US5) to 2,000 V-bucks ($US20). 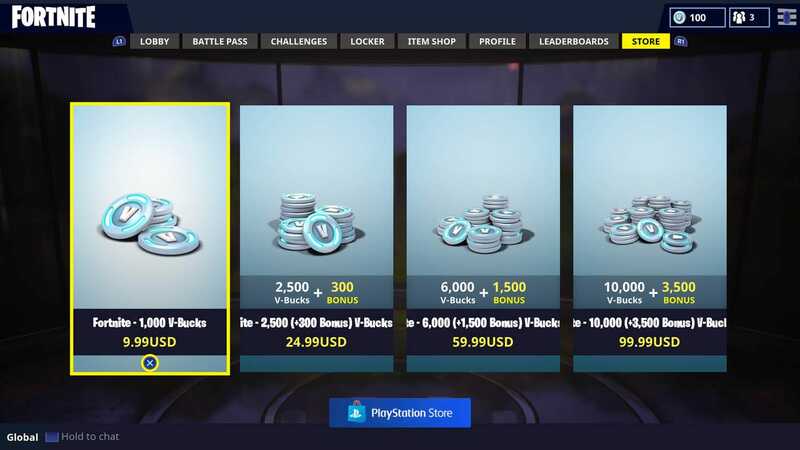 Or you could use it to buy the game’s “Battle Pass,” which unlocks various rewards for your character – it costs 950 V-bucks ($US9.50). To be clear, none of this stuff grants you stronger weapons or additional health or whatever else. 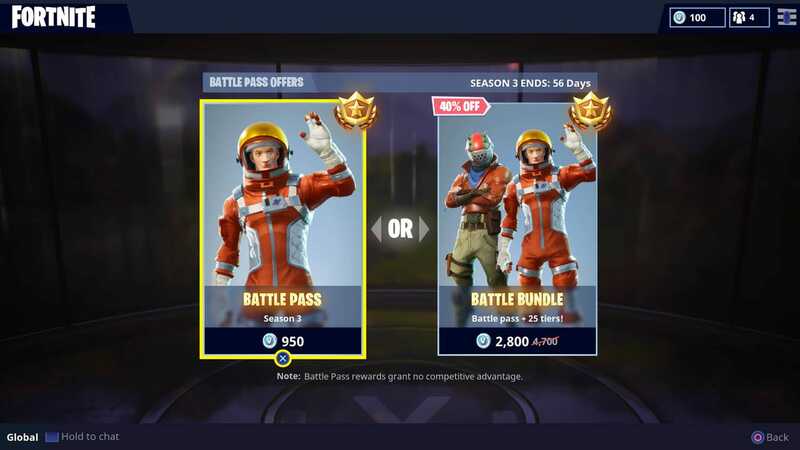 The items in the shop are “cosmetic only and grant no competitive advantage.” The “Battle Pass” carries similar language. Beware, especially if young kids are playing, that in-game purchases start at $US5. If you’re worried about that being an issue, make sure to set up your parental controls accordingly. It’s hard not to recommend “Fortnite: Battle Royale.” It’s ridiculously fun to play, easy to learn, and surprisingly complex beneath the surface. I’ve spent a ton of time spectating games after my own death, watching for strategies that I’ve missed. 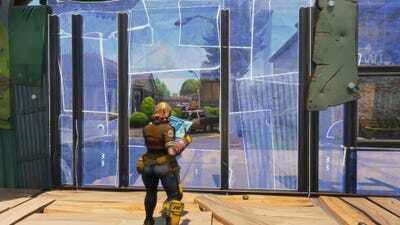 As it turns out, being able to break through walls and build complex structures from nothing turns the “Battle Royale” concept on its head. I was worried that “Fortnite: Battle Royale” was a shameless ripoff of “PUBG’s” fresh new twist on shooters, and I’m glad to report that worry is unfounded. “Fortnite: Battle Royale” is yet another new wrinkle in the shooter genre, distinct and excellent unto itself.